A simple but very effective aid for use when entering or leaving a car, the Car Caddie comprises a sturdy webbing strap and buckle together with a comfortably shaped padded handle. 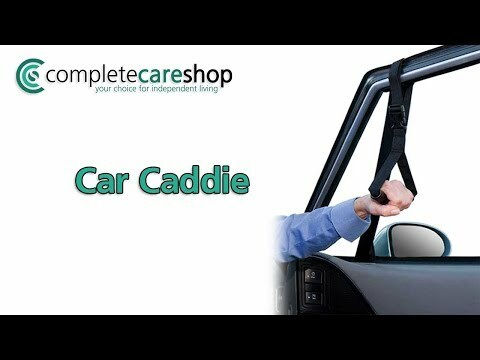 With the window partially opened, the Car Caddie can be secured to the window frame in a matter of seconds, whereupon it provides immediate and reliable support to the user. Supremely light and portable, this high quality aid can be easily stored in a bag or glove box and its length can also be adjusted to suit the requirements of each individual user.